First up, the “other” part of the break. Sam busted a box of 2008 UD Masterpieces and 2008 Goudey. I didn’t scan the Masterpieces, even though they’re one of my favorite sets of all time, simply because they were all base and I finished that set quite a long time ago. 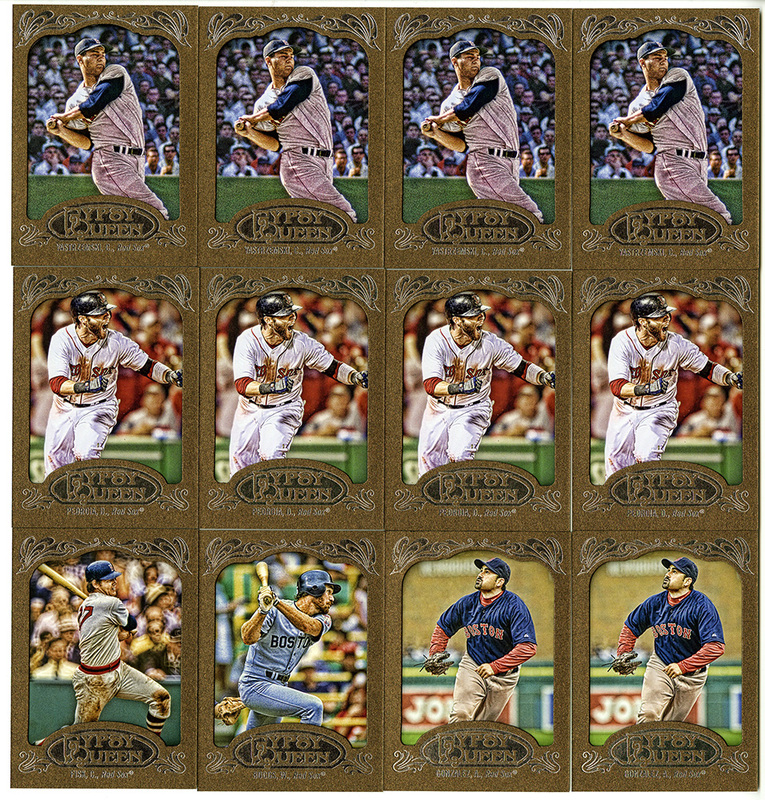 Goudey, on the other hand, I couldn’t remember if I had finished it or not, and I haven’t pulled out my ’08/’09 binder to double check. So, on the scanner it goes. I don’t remember seeing either the Doerr or the Fred Lynn before, so there’s a good chance those are new to the collection. Also, the Manny mini is completely random. Such a weird little card, and a weird photo/subject to use as a mini. Neat though. Next, a trio of GQ minis. I had the Melacon, and a black bordered Lavarnway, but the regular colored one and the Pedroia were both on my needs list. I’m about half-way done with the minis now. Yay! 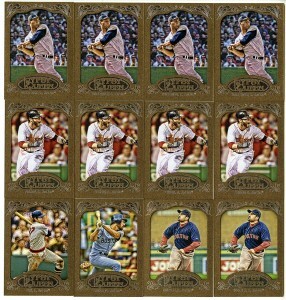 This is, without a doubt, the largest pile of inserts I’ve ever received from a break. It certainly says something about those retail, rack-pack insertion rates doesn’t it? 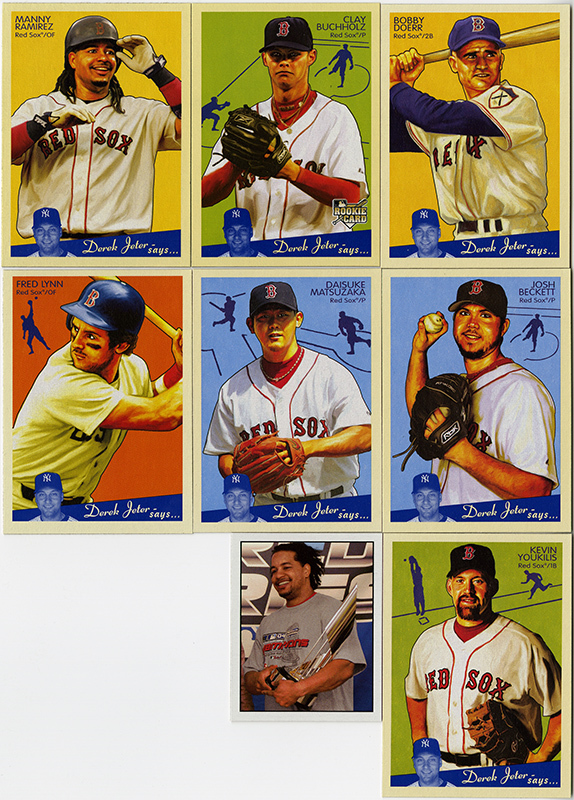 Four gold-bordered Yaz, four Pedroia, two Gonzo, a Boggs and a Fisk. NICE! 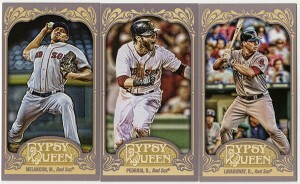 I love the Gypsy Queen paper borders, and these are no exception. Great break bud, can’t wait for the next one.